“Mad Men” shocked fans with its series finale, ending with Coca-Cola’s real-life “I’d Like to Buy the World a Coke” TV commercial from 1971. However, not everyone was as surprised by the show’s choice to finish the episode. Many critics predicted the iconic ad campaign’s inclusion in the finale and, for savvy viewers, the writing was on the wall during the course of the show’s season-long obsession with the famous soda. It all began in Season 7's episode 11, “Time & Life,” when Jim Hobart (H. Richard Greene) interrupted Don's (Jon Hamm) pitch to form SCP West. Hobart promised Don and the rest of the SCP partners premier accounts to counter any dissatisfaction they felt about moving to McCann. The fruit the exec used to tempt Don was Coca-Cola. Don’s eyes lit up when Hobart whispered the name, the ad man appearing to delight in imagining crafting a national campaign for the blockbuster brand. However, even when Don quit advertising in the next episode, Coke was not far from his mind. In episode 13, “The Milk and Honey Route,” when he ended up stranded at an Oklahoma motel, the AWOL creative director busied himself by repairing a broken down Coca-Cola vending machine for the motel’s owner. Then, in the finale, there were various visual allusions to the forthcoming Coke ad. The sunny meadows of the Northern California spiritual retreat looked identical to the setting of the ad. Plus, the hippie costumes of the commercial’s diversified cast seemed handpicked from the wardrobe of Don’s fellow retreaters. In retrospect, Don’s road trip odyssey over the final four episodes seems to have been an elaborate research trip in preparation for his greatest pitch. Having shed almost every aspect of his life as Don Draper on his way west, he broke down in a group therapy session, embracing another lonely office worker after listening to the man's candid monologue about feeling unloved. 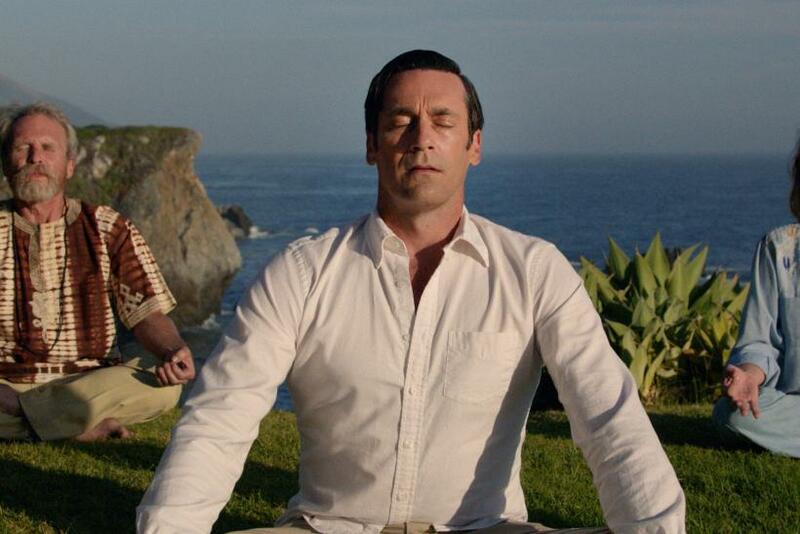 Peacefully meditating at the end of the episode, it appeared that Don may have finally learned that the key to feeling loved is to love others. Whether the commoditization of that realization led to an ad campaign – where groups of people sing about giving away sodas as a sign of good will – is a symbol of Don’s growth or a cynical indicator of a relapse is up for interpretation, but it sure seems like the Coca-Cola campaign was a long time in the making for Don Draper.